My husband keeps asking me what I want to do for Mother’s Day. This has always been a sticky point for me. I hate the spotlight and generally try to avoid it (sounds funny since I have a website doesn’t it). Through the years we’ve had lunch at my house, his mom’s house, gone out to eat, gone to his sister’s house. I’m a low maintenance person in my general life style. My kids have grown up that way and it works for us. Lately though I’ve began to wonder if I’ve handled it right. My kids are pretty much grown now and I’m starting to think about the possibility of future spouses and in-laws. I realize not everyone approaches these “landmark days” the same way I do and I may have put my children at a disadvantage in meeting relationship needs. My best friend is a great example. While she is a very low maintenance kind of person on a day to day basis, when it comes to “Hallmark holidays” she has been quite diligent in teaching her boys to faithfully and definitively observe them. She would never miss getting cards and gifts for her parents, and has taught her children that’s important. She expects cards and a gift from each of her boys and now her grandchildren. Mother’s Day, Father’s Day, birthdays, anniversaries – they are all important to be recognized and celebrated in some way. Gifts don’t have to be big, but they should be meaningful and not just a “token” gift (nobody needs a coffee mug every year). We haven’t done that. As long as I’m not forgotten completely, I’m really okay. I don’t ever want to be a bother or an obligation. I don’t need our kids to spend a ton of money (or really any) on me to demonstrate their love. The fact that they will randomly come up and give me a hug for no reason at all, invite me to a movie premiere of something we both enjoy, or send me a text with a link to show off something they are proud of – that’s enough for me. They even let me follow them on some of their social media platforms. Well, it’s too late now to teach them different habits just in case their future families have a different idea. But we did teach our kids to be resilient and they can generally read a situation pretty well – so they’ll do fine I’m sure. As for me, this Mother’s Day? I don’t know. I suggested Yum Yum’s but they aren’t open on Sundays and my husband said Cook Out (my other suggestion) just didn’t feel right for Mother’s Day. I think we’ve compromised on lunch at Rio Grande Mexican. 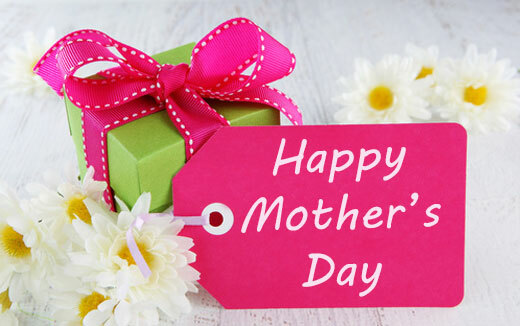 Happy Mother’s Day – I hope you enjoy it no matter how you celebrate! I think they’ll be all right. Your kids’ spouses will let them know otherwise. I’ll admit I don’t like landmarks for me but I do try to do a little something special for my wife. It doesn’t take much, either. Mexican sounds like a fine way to celebrate tomorrow. I haven’t been here in awhile. I like your clean, fresh look! As for Mother’s Day, I used to go all out – bought cards for mothers, aunts, grandmothers, etc. I mentioned it to a neighbor once, and she asked why I was buying all those cards. She said she gives a card to her mother and it was up to her mother to give one to her mother (the grandmother of my friend’s children). She said, “I only have one mother.” It was not sarcastic or mean-spirited; just made sense to her. As for the tradition that some feel the need to stick with, let them. I’ve grown to feel better when I’m honest. I don’t have little kids to impress anymore. They’re older and understand my need to veg out! And on that note, Happy Mother’s Day! Happy Mother’s Day to you! I think the one paragraph in which you mentioned random hugs, invitations to movies you’d both enjoy, and occasional text messages – PLUS access to their social media (that one is huge!) proves that you have done things just right! Enjoy your day…and your kids, continually!